A 6″ and an 8″ vanilla cake iced with vanilla buttercream. 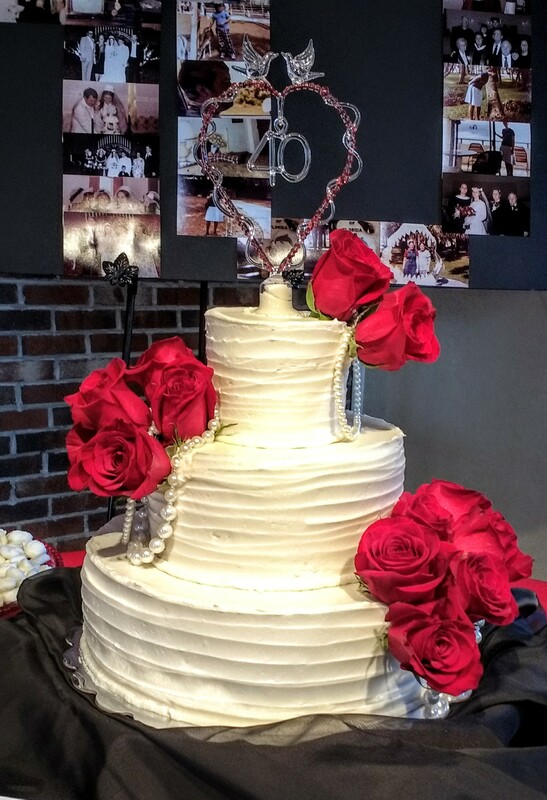 The drapes, roses, mirror, large rose and petals are all handmade from fondant. 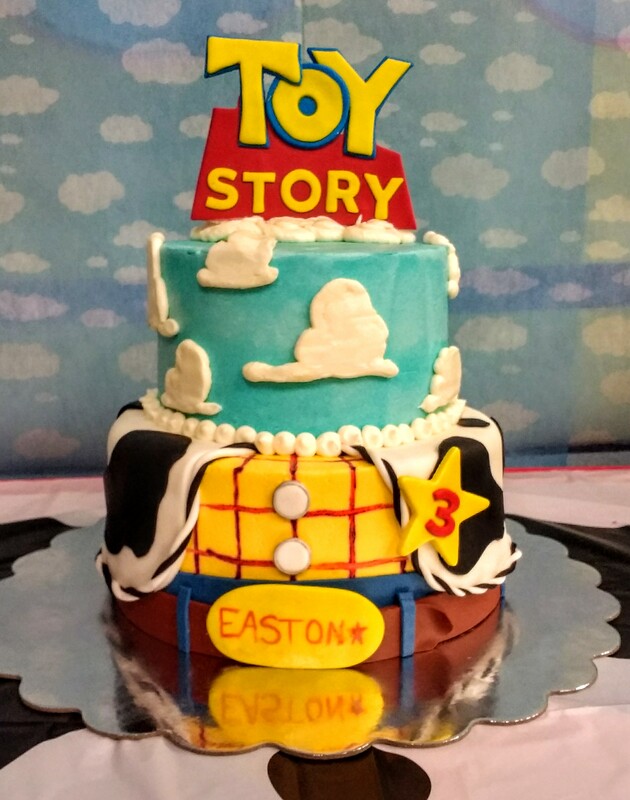 A 4″,8″ and 12″ vanilla cake iced with vanilla buttercream. The flowers and beads are real. 6 dozen vanilla cupcakes iced with vanilla buttercream. 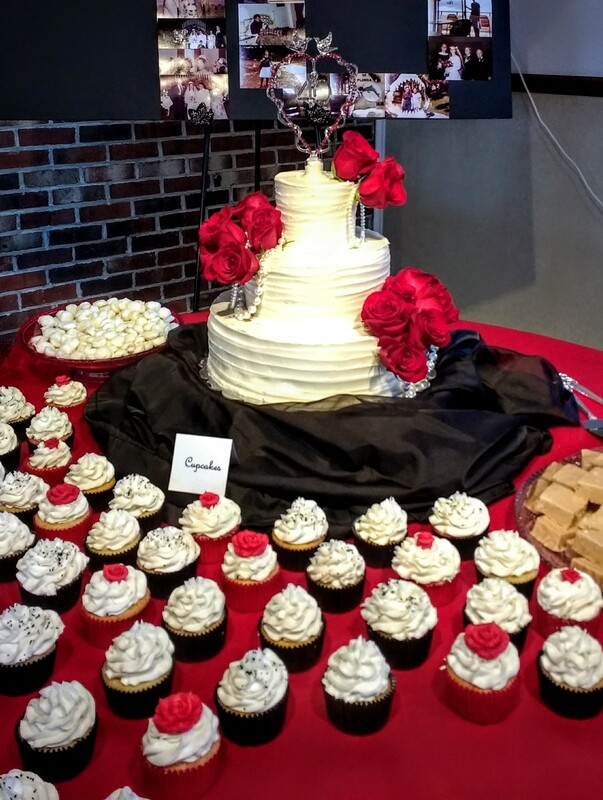 Roses on cupcakes are fondant. A Toy Story birthday! 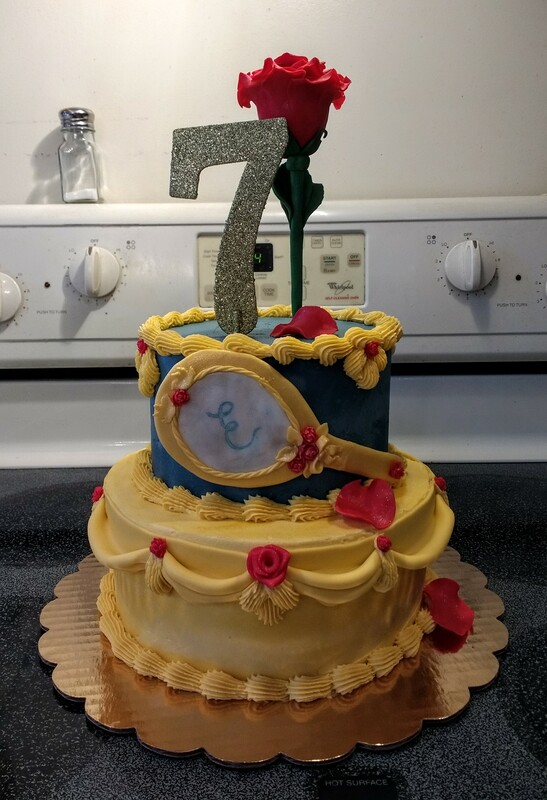 A 6″ and 8″ vanilla cake iced with vanilla buttercream. The logo, best, pants/belt, buckle, buttons and badge are all handmade from fondant. 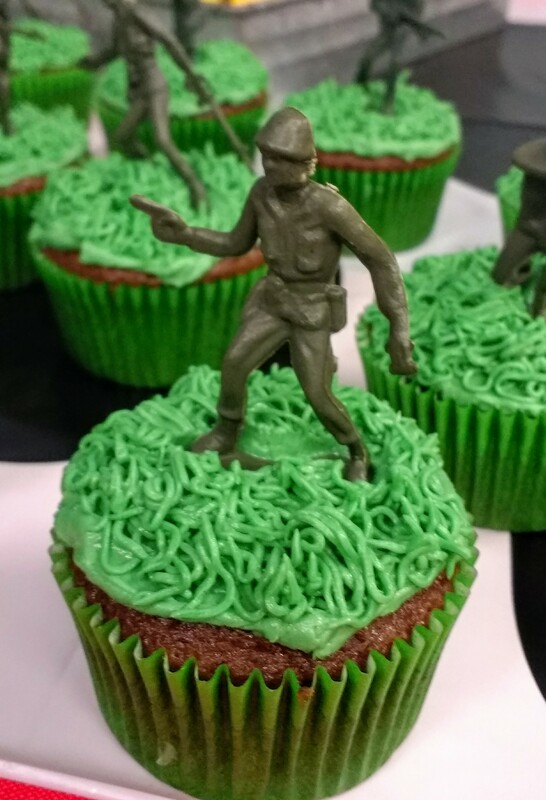 Also 24 chocolate cupcakes iced with vanilla buttercream topped with you soldiers.